Would you like to get high speed Internet from a company with "TELEGRAPH" in it's name? Of course not, but if AT&T is your provider that is just what is happening. 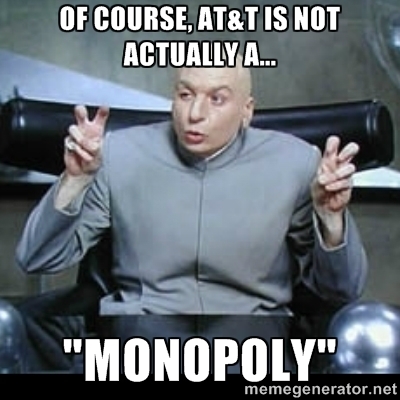 A Google search of the phrase "AT&T evil" brings up 940,000 results. Is there a single person in America they have not pissed off? AT&T is a dowdy old monstrosity that treated it's customers like cattle even BEFORE it was broken up in 1982 for being a monopoly. Things are no different now. Since then the company has basically put itself back together again piece by piece. Now it is the 23rd largest company in the world. 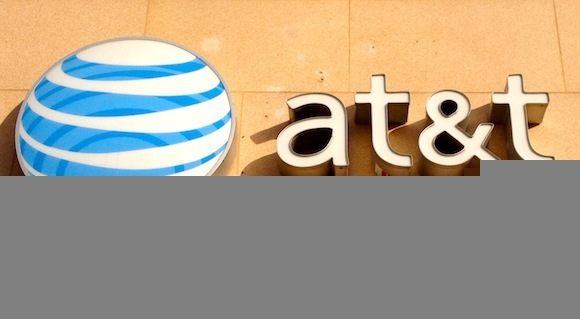 In 2014 the Feds sued AT&T again, this time for allegedly deceiving millions of customers by selling them supposedly “unlimited” data plans that the company later “throttled” by slowing Internet speeds when customers surfed the Web too much. Apparently somebody at AT&T forgot to pay off a politician somewhere. I have watched the American Telephone and Telegraph company trash my clients and myself for fifteen years. When high speed Internet came out they sent unqualified techs to people's home who broke their computers just trying to put in a networking card. Once they turned of MY phone service because they owed ME five dollars. Five dollars! Customers who requested high speed Internet in the early days found their business phones turned off for weeks by accident instead. In 2014 I watched them put a West Hollywood music venue through two weeks of broken Internet torture. AT&T made big promises about fixing their problems without resolving anything. This deeply affected their ability to do business and employees had to use the Internet on their phones. My clients who have switched away from AT&T are much happier. Warner Cable provides very fast Internet at an affordable price and I like the service. 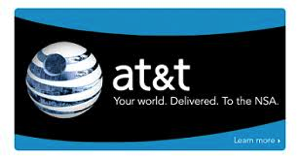 Do not be fooled by AT&T's claims about package deals saving you money. It's called AT&T U-Verse: phone, Internet and TV in one package. A package deal with them leaves you MORE dependent on them ... more trapped. And if their signal goes out you could lose television, telephone and the 'net all at once! Even AT&T has given up on U-Verse and is switching itself over to DirecTV which they bought in 2015. Worst of all, when I forgot to pay a bill for five days they took my phone number I had had for 18 years and threw it away! There went my long time business number. Then they sent me a check because they had been overbilling me for that disconnected number for years! Idiots! I guess that story explains this rant doesn't it?